•	1971’s ’Sweet Woman’s Love’ is considered a deep soul classic amongst fans and collectors. 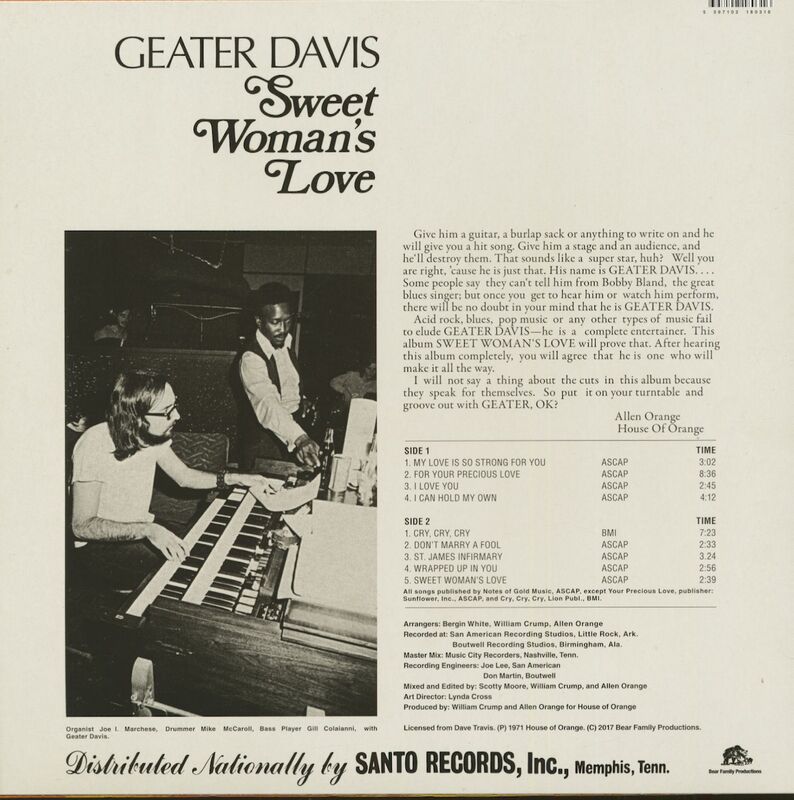 •	Often compared with Bobby ’Blue’ Bland, Geater Davis was an underrated ambassador of the Southern soul/blues genre. •	His vocal style has often been described as a ’’combination of ,sweetness and sandpaper grit’’ (Allmusic.com), impassioned and tortured. •	Geater Davis never achieved the recognition and the commercial success that he had deserved. •	1:1 re-issue of his finest album with the original artwork, originally released on the House of Orange record label. •	Carefully re-mastered for prestine sound quality. Soul/blues singer/songwriter Vernon ’Geater’ Davis (1946 – 1984) was born in Kountze, Texas. When record producer Allen Orange heard Geater and another singer, Reuben Bell, perform he decided to record both in Birmingham, Alabama. It was the start of his own record label in 1970, ,’House of Orange’. 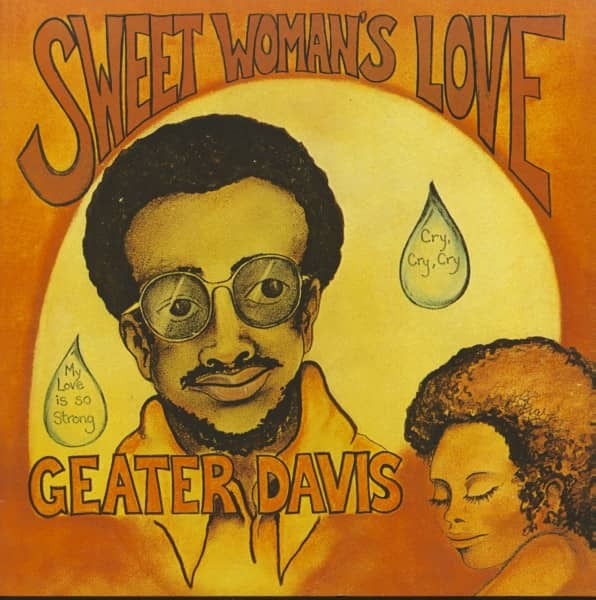 One of the label’s first releases was Sweet Woman’s Love by Geater Davis which went up to #45 on the Billboard R&,B charts. His follow-up releases did not follow-up on the initial success. After House of Orange closed its doors in 1972, Geater went on to record for several smaller independant record labels like 77, Ace, and MT, and he contiinued to write or at least, co-write his own songs. With the exception of Your Heart Is So Cold in 1973 which reached #64 on the Billboard R&,B charts, his records did not sell particularly well. But Geater toured extensively on the chitlin circuits for a soul and blues audience. He died of a heart attack in Dallas, Texas in 1984. He was barely 38 years old. Soul/blues singer/songwriter Vernon ’Geater’ Davis (1946 – 1984) was born in Kountze, Texas. When record producer Allen Orange heard Geater and another singer, Reuben Bell, perform he decided to record both in Birmingham, Alabama. It was the start of his own record label in 1970, ’House of Orange’. 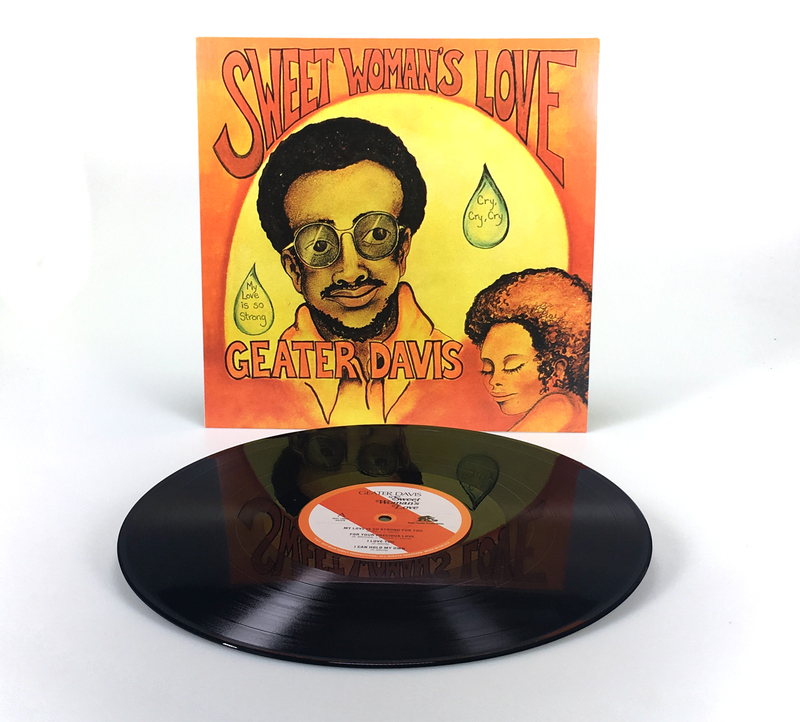 One of the label’s first releases was Sweet Woman’s Love by Geater Davis which went up to #45 on the Billboard R&B charts. His follow-up releases did not follow-up on the initial success. After House of Orange closed its doors in 1972, Geater went on to record for several smaller independant record labels like 77, Ace, and MT, and he contiinued to write or at least, co-write his own songs. With the exception of Your Heart Is So Cold in 1973 which reached #64 on the Billboard R&B charts, his records did not sell particularly well. But Geater toured extensively on the chitlin circuits for a soul and blues audience. He died of a heart attack in Dallas, Texas in 1984. He was barely 38 years old. Geater Davis never achieved major succes and stardom. This vinyl re-issue of the legendary House of Orange LPS-6000 should put the limelight on one of the most talented soul singers from the South. Customer evaluation for "Sweet Woman's Love (LP, 180gram Vinyl)"
Der große unbesungene Held des Soul! Musikexpress 4-18	"Der große unbesungene Held des Soul: Geater Davis aus Texas, 1984 mit 38 Jahren an einem Herz-infarkt gestorben. SWEET WOMAN'S LOVE (Bear Family) von 1971 ist das einzige Album, das zu seinen Lebzeiten veröffentlicht wurde. Eine Sammlung von minimalistisch arrangierten deepen Soul-Songs, in Blues und Gospel verankert. Davis, dessen größter Erfolg die Single „Sweet Woman's Love"war (Platz 45 der Bill-board-R'n'B-Charts), war ein großartiger Balladensän-ger. Er hatte das gesamte Spektrum drauf, vermied es aber, in Emotionsfettnäpf-chen zu treten. Der erste Rerelease des Albums seit seiner Veröffentlichung kommt auf 180-Gramm-Vinyl und remastert." InMusic 12-17/1-18	"Über Bear Family erscheint die Wiederveröffentlichung dieses Vinylklassikers im Originalcover und bestmöglich remasterten Sound. " Rocktimes 30.12.2017 "Glaubwürdigkeit in der Stimme besaß Geater Davis massenhaft. Überrascht durfte ich auch feststellen, dass der Blues-Klassiker "St. James Infirmary" (danach von Joe Cocker und vielen anderen gecovert) aus der Feder des Texaners stammt, wir es hier also mit der Original-Aufnahme zu tun haben. Und die kommt hammerstark, was durch den erdig-warmen Sound dieses 180g-Vinyls natürlich noch verstärkt wird." Oldiemarkt 1/2018	"Das ist klassischer Southern Soul im Stil von Stax und Konsorten. Alle Songs schrieb er selbst oder im Team, und als Sänger konnte er mit den Großen des Genres mithalten - nicht umsonst ist diese LP ein Geheimtipp für Sammler." Klasse LP. Die Stimme von Geater Davis hat schon Charakter! !